The high school cross country season is finally over. For the most part, it ended as expected. Anna Rohrer took home her first national title while Edward Cheserek made it two in a row at the 2012 Foot Locker Finals in Balboa Park. The girls from the Midwest was easily recognizable with their yellow jerseys. Even with their bright colors, we still couldn’t spot pre-race favorite Anna Rohrer early in the race. 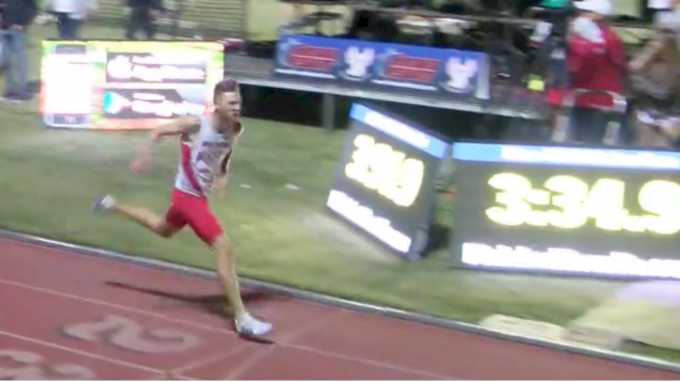 Rohrer had taken a spill 400m into the race, but that didn’t rattle the sophomore superstar. She slowly made her way to the front and joined her Midwest teammates Maria Hauger, Jordyn Colter, and Taylor Werner. It would be the Rohrer show from two miles out from the finish. 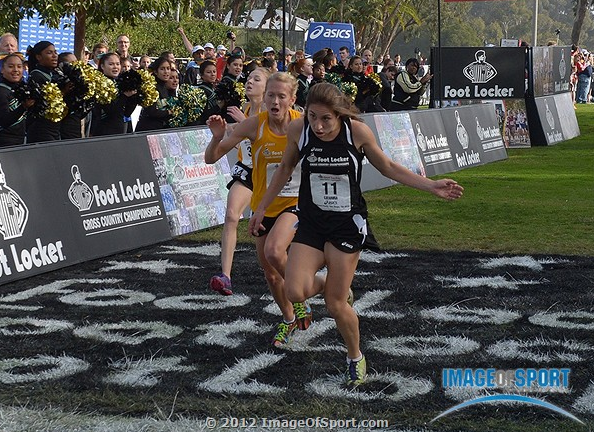 The eventual Foot Locker champion passed the marker in 11:10 and then pulled away from the field. Rohrer would become the fourth sophomore to win a Foot Locker title as she broke the tape in 17:25. However, it wouldn’t be a top three sweep for the Midwest. Catarina Rocha from the Northeast would storm home in the final 200m to take second in 17:29.0. We screamed "LEAN" as if they could hear us. 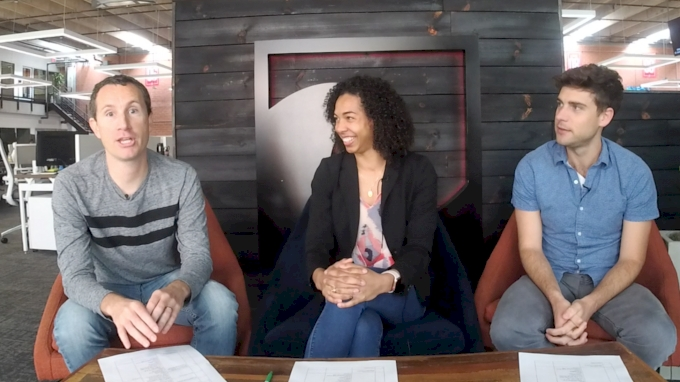 In our meet preview, we mentioned that Rocha’s 2011 finish was due to her closing speed. One year later, she once again shifted gears to outkick and nip third place finisher Hauger (17:29.2) and fourth place finisher Colter (17:29.5). Karis Jochen finally overcame her rival from the South, Sophie Chase, to finish fifth in 17:36. The Midwest girls would take the "team title" with 24 points. The South finished second with 49 points, the Northeast in third with 71, and the West with 98. We thought that the Midwest would put five in the top ten; they put six. While cross country may be getting more exposure, it comes at a price. Two championships divide the national field and sometimes leave lingering questions. In the case of the girls’ championship, one has to wonder who would win if Baxter and Rohrer went head to head. The only way we can try and find an answer for the problem is by using the data that we have available. 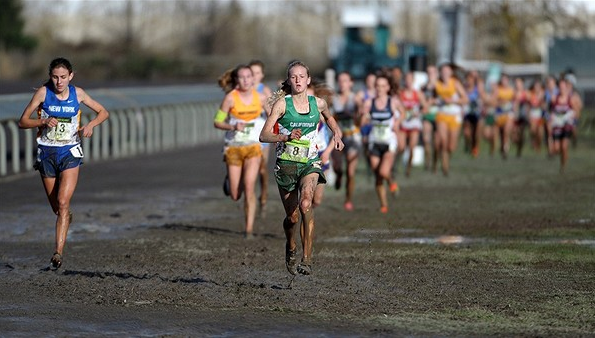 The Foot Locker and NXN championship races are not the best races to gauge our comparison. Rohrer took a tumble and fell in the first 400m and the times from Portland were totally out of whack. Both champions could have run faster if the situations had been more favorable. Instead, we’ll use Rohrer’s 16:54 course record from the Midwest Regional and Baxter’s 16:00 CR from the Mt. SAC Invitational. Rohrer’s winning time from the regional champion jumped the previous marks from Claire Durkin and Melody Fairchild. 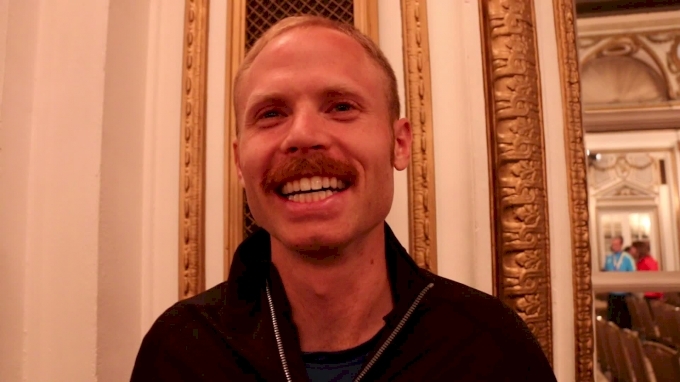 Durkin had run 17:08 on the Kenosha, WI course in 2007 to break Fairchild’s 17:08 run from 1990. The two fared very well at the FL Finals in their respective years, but their times were very different. Durkin would take fourth in 17:44 while Fairchild would go on to set the Balboa Park course record in a blazing 16:39. If the two had closer finishing times, there would be a better conclusion. While we can’t predict Rohrer’s best possible mark, perhaps Baxter’s run would serve as a better data point. Baxter’s jaw-dropping 16:00 at Mt. SAC broke the long standing mark of 16:16 set by Amber Trotter in 2001. The next closest finish would be Jordan Hasay’s 16:27 from 2008. Trotter’s finish at Foot Locker Finals would be moot in the scenario because nationals had been moved to Orlando, Florida between 1997 and 2001. Even though Trotter ran a blistering 16:24 to win the title, it doesn’t correlate to anything back in San Diego. In 2008, Hasay would regain her Foot Locker crown with her 17:22 win. However, we can assume that Baxter would have run much faster as she was already 27-seconds ahead of Hasay at Mt. SAC. The only question is by how much. We'll have to wait until the spring... or never. Outdoor track marks are too far removed to gauge Rohrer and Baxter’s cross country fitness this fall. Besides, Rohrer had only been running 15 miles last spring and ran 11:11 for 3200m. She’s now running faster en route. Baxter is unbeaten in cross and the tough Rohrer has yet to be challenged to the line. We’ll have to wait until the two clash to end our hypothetical scenario. 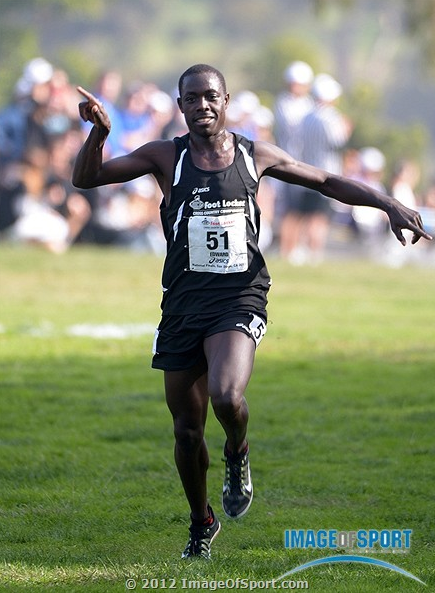 In the boys’ championship, there wouldn’t be any speculation whether NXN champion Sam Wharton would have beaten the FL champion Edward Cheserek. Thankfully (at least for the skeptics), Wharton ran both championship races. The pre-race favorites played it safe as they stayed out of any potential trouble for the first mile. It wasn’t until the front pack reached the base of the hill that the challengers would emerge. The Big Four, which included the defending Foot Locker champion Edward Cheserek, the South champion Sean McGorty, the Midwest champion Jake Leingang, and NXN champion Sam Wharton broke away from the field after the hill. The group would remain intact through two miles (9:45) and would only separate as they made their descent down the steep downhill for the final time. Cheserek would finally take the lead, but McGorty wasn’t going to let him go. McGorty tried to run the kick out of Cheserek, but the sub-14 5k runner wouldn’t be denied his second title. Cheserek convincingly pulled away to secure the win in 14:59. McGorty would finish second in 15:05 and Leingang would bounce back from NXN to third in 15:06. Even though Wharton faded to sixth, his decision to go with the front pack should be commended. When you already have one national title, there’s no hurt trying to go for a second one. The champion from the West, Ben Saarel, would kick for home in the final 500m to take fourth in 15:12. The top four finishers were the top finishers from each of the regional championships. Saarel wouldn’t be the only one to pass Wharton in the final meters. Jacob Thomson from the South would also make up ground in the last stretch to take fifth in 15:14. If you ran the 2011 New Balance Outdoor National 5k, then you were you were in good company. The top returners from that race were (in order) Jake Leingang, Jacob Thomson, Sam Wharton, and Joshua Brickell. The boys from the South scored 42 points and would narrowly take the win over the West, who finished second with 46 points. The Midwest was third with 54 and the Northeast was fourth with 81. It’s been a long and nerve-racking fall, but cross country is finally over. 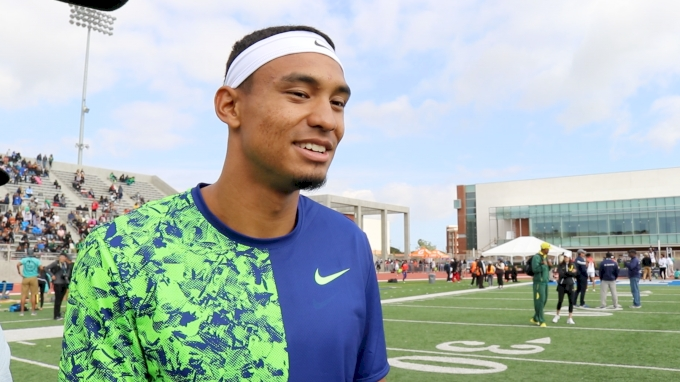 Although the national finalists ran in the warm (for most of all, anyway) weather in San Diego, the majority of them will return home to cooler temperatures. The cooler temperatures mean more hoodies, under armor, and gloves. It also means less racing in the woods and more racing on the track. Brace yourselves, the indoor season is upon us.